T his information is from a pamphlet by the Hindustan Socialist Republican Army, which was distributed throughout India in 1943. The purpose of re-publishing it here is that it the original site where it was published appears to have gone down, and I think it is worthwhile for this list to still exist on the web. All of the individuals listed here were active participants in the freedom movement. They were either executed or perished in jail. May their memories and love of Mother India live on. ** Numerous persons died in Jails in connection with Quit India movement whose names are not available. 1. Vasudev Balvant Phadke, Dist. Kolaba, Maharastra, Born Nov. 4, 1845. He tried toorganise a National revolt against theBritish: Deported to Aden and kept in Aden Jail under inhuman condition. He resorted to hunger strike as a protest against ill treatment of the Jail Authority and died on Feb. 17, 1883. 2-4. Senapati Tikendrajit Singh, Manipur. General Thengal, Manipur, Agnes Sena (Younger brother of General Thengal), Manipur. They revolted against British and were executed on August 13, 1891. 5. Damodar Hari Chapekar, Maharastra. Executed in Yerrowda Central Jail or, April 18, 1898 on a charge of killing Rand, Plague Co mmissioner and another army officer named Ayerest. 6-7. Basudeo Hari Chapekar, S/o Hari Chapekar, Maharastra and Mahadeo Ranade, S/o. Vinayak Ranade, Maharastra were executed in Yerrowda Central Jail on May 8, 1899 and May 10, 1899 respectively for murder of informer Dravids. 8. Balkrishna Chapekar. S/o HariChapekar. Maharastra. Executed in Yerrowda Central Jail on May 12, 1899. He helped in the plan to kill Mr. Rand, Plague Commissioner, Poona. 9. Khudiram Bose, S/o Trailokyanath, Midnapore (Born Dec. 3. 1889) was executed in Muzaffarpur Jail (Bihar) on August 11, 1908 for committing murder on Miss and Mrs. Kennedy mistaking that the carriage in which they were travelling was carriage of Session Judge Kingsford. 10. Kanailal Datt, S/o Chunilal. Chandannagar, Dist. Hooghly, West Bengal Executed in Old Alipore Jail Harinbari-present Presidency Jail) on Nov. 10, 1908 for shooting dead approver Narendra Goswami inside jail. 11. Satyendranath Bose. S/o Abheycharsn Midnapore, West Bengal. Exeouted in Old Alipore Jail (Harinbari–present Presidency Jail) an Nov. 21, 1908 for shooting dead approver Narendra Goswami inside jail. 12. Charu Charan Bose. S/o Keshablal, Khulna (now in Bangladesh) Executed on March 19, 1909 in Old Alipore Jail (Harinbari–present Presidency Jail) for shooting dead Ashu Biswas, Public Prosecutor of Alipore Bomb case inside Jorabagan Court premises. 13. Madanlal Dhingra. Punjab. He shot and killed William Curzon Wyllie, Political A.D.C. to the Secretary of State. He was executed on August 17, 1909 in Pentonville, London. 14. Birendranath Datta Gupta, S/o Umacharan, Dacca (now in Bangladesh). He shot dead D.S.P. Shamsul Alam in Calcutta High Court premises. Alam was the prime investigator in Alipore Conspiracy case..He was executed on Feb. 21, 1910 in Old Alipore Jail (Present Presidency Jail). 15-17. Aranta Laxman Kanhere, Krishna Gopal Kanre and Vinayak Narayan Deshpande. They were executed in Thane Jail (suburb of Bombay) on April 19,1910 for killing D.M. Jackson who convicted Ganesh Damodar Savarkar to transportation in Nasik Conspiracy case. 18 Kashiram, Executed in Ferozpore Jail, Punjab, on March 27, 1915 in connection with preparation for All India armed uprising. 19-22. Amirchand. S/o Hukumchand; Balmokand, S/o Bhai Mathuradas, Punjab: Abad Behari (Oudh) ; Basanta Biswas, S/o Motilal, Nadia, West Bengal. All the four were sentenced to death in Delhi Conspiracy case in which the principal accused Rashbehari Bose could not be arrested in spite of a reward being declared for his arrest. They were executed on May 11, 1915 in the Ambala Jail. 23-29. Bakshis Singh; Bishnu Ganesh Pingley; Surain Singh, S/o Ishar Singh; Surain Singh, S/o Burah Singh ; Harnam Singh of Sialkot ;Jaggat Singh and Kartar Singh, Saraba. These seven persons along with 17 others were sentenced to death in the 1st Lahore Conspiracy case set up after the failure of projected Ah India Armed Uprising for seizure of power on Feb. 21, 1915 under the leadership of Rashbehari Bose. They marched to gallows valiantly refusing to make any mercy petition to Govt. They were executed on Nov. 17, 1915 in Lahore Central Jail. 30-31. Niren Das Gupta. S/o Lalit Mohan, Faridpur (now in Bangladesh) and Monoranjan Sen Gupta. Faridpur (now in Bangladesh). These two were participants in the well known Balasore fight on Sept. 9, 1915 along with the illustrious revolutionary leader Jatindranath Mukherjee and on being arrested were prosecuted for murder of one Rajmahanty whom they had to kill in the morning of the same day in self-defence and were sentenced to death. They were executed on Nov. 22, 1915 in the Balasore Jail (Orissa). 32. Bhan Singh. A convict of Lahore Conspiracy case who was most brutally assaulted for alleged misbehaviour with the Superintendent of Andaman Cellular Jail. He died during hunger strike. 33. Sohanlal Pathak, Amritsar. He was tried and sentenced to death for his activity in connection with preparation for a soldiers’ uprising in Burma during the Ist World War. He was executed in January, 1916 in Mandalay Jail (Burma). 34-38. Her Singh Bahoowal. Hoshiarpur; Ishar Singh alias Suran Singh, Ferozepore; Ranga Singh alias Rods Singh. Jullundur; Rur Singh of Talwandi, Ferozepore and Uttam Singh, Ludhiana. They were sentenced to death in one of the supplementary Lahore Conspiracy cases following the failure of the projected countrywide armed uprising on Feb. 21, 1915. They were executed in Lahore Central Jail on June 12, 1916. 39-45. Harnam Singh; Challiaram; Narain Singh; Basswa Singh; Narinjan Singh; Bhai Balbant Singh. They were executed in Burma, between August 19 & 22, 1916 in connection with Burma Conspiracy case. 46. Sushil Lahiry, Executed in Oct., 1918 in Beneras Jail CU.P.) for killing his intimate friend Binayak Rao Kapie whom the party had given death penalty for rank defection and misappropriation of money and arms. 47. Ram Rakha, Died during hunger strike in l919 in Andaman Cellular Jail. 48-66. Abdulla alias Sukhai; Bhagwan; Bisram; Dudhai; Alicharan; Lal Mohammad; Laltu; Mahadeo; Meghu; Nazir Ali; Raghubir; Ramlagan; Ramrup; Rudali; Sahadeo;Sampat I; Sampat II; Shyam Sundar; Sitaram. They were arrested in connection with famous Chauri Chaura case during Non-co-operation movement led by Gandhiji and were executed in 1923. 67. Gopi Mohan Saha (Gopinath). S/o Bijoykrishna, Serampur,-Dist. Hooghly, West Bengal. Executed on March I, 1924 in Old Alipore present Presidency) Jail for shooting dead an Englishman Mr. Day mistaking him as Police Commissioner Tegart. 68-69. Ananta Hari Mitra, S/o. Ramlal (Born 1906) and Promode Ranjan Chowdhury, S/o Ishan (Born 1904). They were sentenced to death for killing D.I.B. officer Bhupen Chatterjee inside the jail where they were being then detained as under trial prisoners in akhbareswar Bomb case. Executed on Sept. 28, 1926 in Alipore Central Jail (New Central Jail). 70. Rajen Lahiri, S/o, Kshitish Mohan, Pabna (now in Bangladesh) Born June 1901. Executed on Dec. 17, 1927 in Gonda Jail (U.P.) in connection with Kakori Conspiracy case. 71. Asfsqullah Khan. Shahjahanpur ( U.P.). Executed in Faizabad Jail (U.P.) on December 19, 1927 in connection with Kakori Conspiracy case. 72. Ramprosad Bismil. S/o. Muralidhar Tewari, Shahjahanpur (U.P.). Born 1898. Executed on December 19, 1927 in Gorakhpur Jail (LT.P.) in connection with Kakori Conspiracy case. 73. Thakur Roshan Singh. S/o. Jagadish Singh, Shahjahanpur (U.P.). Born 1897. Executed in Naini Central Jail (U.P.) in connection with Kakori Conspiracy case on Dec. 21, 1927. 74. Jatindranath Das. S/o. Bankim Behari, Calcutta, West Bengal, Born Oct. 27, 1904. He along with ten others joined a hunger strike started by Bhagat Singh and Batukeswar Datta earlier upon a demand for recognition of better status for all political prisoners. He died inch by inch after 63 days of fasting on Sept. 13, 1929 in Lahore Brostal Jail. 75. Hpoongyi-U-Wizaya, Kyaungone, Bassein, Burma. He was a monk and resorted to hunger strike upon a demand for better diet for political prisoners and certain other privileges consistent with the life of a monk. Expired on September, 20, 1929 after fasting for 163 days. 76. Bhagat Singh. S/o Kishan Singh and nephew of renowned revolutionary Sardar Ajit Singh. Lgallpur (now in Pakistan). Born Oct. 6, 1907. He was first arrested for the well-known Central Assembly Bomb throwing affair and while in prison was made an accused in the Second Lahore Conspiracy case along with many others woven round the murder of Saunders, A.S.P., Lahore. He was executed on March 23, 1931 in Lahore Central Jail. 77-78. Sibram Rajguru, S/o Hari Narayan Rajguru, Poona, Maharastra, and Sukdeb, S/o Lala Ram Lal Thapar. Lyallpur (now in Pakistan). Born May 15, 1907. They were executed on March 23, 1931 in Lahore Central Jail in connection with Lahore Conspiracy Case. 79. Hari Kishan Talwar. S/o Lala Gurudasmal, Punjab. Born January, 1908. He made an attempt on the life of Geoffery-deMontmorrency. Governor of Punjab when the latter was coming out of the Lahore University Hall after delivering the convocation address with a revolver shot injuring the Governor and killing a Police Officer Channan Singh. He was executed on June 9, 1931 in Mianwali Jail (now in Pakistan). 80-82. Ranabir Singh; Durga Das; Chamanlal. They were arrested in connection with Martyr Hari Kishan Talwar’s case and after a supplementary trial_were sentenced to death. 83. Dinesh Gupta. S/o Satish, Dacca (now in Bangladesh). Born Dec. 6, 1911. He was a participant along with Benoy and Badal in the historic Calcutta Writers Buildings raid (Dec. 8, 1930) when Col. Simpson, I.G. of Prisons, Bengal, was shot dead and Mr. Nelson, Judicial Secretary and some others were injured. He was executed in Alipore Central Jail (New Central Jail) on July 7, 1931. 84. Ram Krishna Biswas. S/o Durgakripa, Chittagong (now in Bangladesh). Born January 16, 1910. He shot dead Inspector Tarini Mukherjee at Chandpur, Comilla (now in Bangladesh) mistaking him as Craig, I.G. of Police. Executed on August 4, 1931 in Alipore Central Jail (New Central Jail). 85-91. NGA Pothun; NGA Bogauk; NGA Than Myaing; NGA Po Thit; NGA Po Saung; NGA BaThaw and NGA Po Hta.These seven martyrs were tried by special tribunal (this trial is known as famous THARAWADDY trial) on a charge of organising revolt against the British Govt. They were condemned to death on August 8, 1931. 92-93. Tarakeswar Sengupta. S/o Haricharan, Barisal (now in Bangladesh). (Born April 15, 1905) and Santosh Mitra, Calcutta, West Bengal. They were killed in Hijli Detention Camp (Midnapore, West Bengal) on Sept. 16, 1931 in course of an attack on the detenus by Jamuna Singh, Head Warder and his subordinates. 94. Saya San. A hero of hundred battles rebelled against the British. He was executed in Burma on Nov. 18, 1931. 95. Manoranjan Bhattacharjee. S/o Kali Prasanna, was executed on August 22, 1932 in Barisal Jail (now in Bangladesh) in connection with Charanuguria (Faridpur–now in Bangladesh) Post Office dacoity case. 96. Ramdeni Singh. Bihar, was hanged in 1932 in connection with Hajipur Station dacoity case. 97. Pradyot Bhattacharjee. S/o Bhabataran, Midnapore, West Bengal, was executed in Midnapore Central Jail on Jan. 12, 1933 in connection with Douglas (district Magistrate, Midnapore) murder case. 98. Kalipada Mukherjee was executed on Feb. 16, I933 in DaccaJail (now in Bangladesh) in connection with Kamakhya Sen, Special Magistrate murder case. 99. Mahabir Singh. S/o Kunwar Devi Singh, Etah District, CU.P.). Born Sept. 16, 1904 and died on May 17, 1933 in Andaman Cellular Jail in course of a hunger strike while resisting forced feeding. 100. Man Krishna Namadas (NZohan Kishore)· Mymensingh (now in Bangladesh), who resorted to hunger strike in Andaman Cellular Jail as a protest against inhuman treatment on political prisoners died on May 26, 1933 while resisting forced feeding. 101. Mohit Maitra. S/o Hem Chandra Maitra, Calcutta, West Bengal, Died on May 28, 1933 in Andaman Cellular Jail in course of hunger strike while resisting forced feeding. 102. Surya Sen (Mastetda). S/o Raj Mani Sen. Born March 22, 1894, Chittagong (now in Bangladesh), was executed in Chittagong Jail on Jan. 12, 1934 for armed uprising against the British in Chittagong; He was the Supreme Commander of the uprising. 103. Tarakeswar Dastidar. S/0. Chandra Mohan, Chittagong (now in Bangladesh) He was an active associate of Masterda Surya Sen during absconding period and was executed in Chittagong Jail., January 12, 1934 for armed revolt against the British in Chittagong. 104-105. Harendranath Chakraborty. S/o Kali Kumar, Chittagong (now in Bangladesh) and Krishna Chowdhury, S/o Hemendralal, Chittagong attempted to kill Europeans In Chittagong Paltan Maidan. They were executed on June 5, 1934 in Midnapore Central Jail. 106. Dinesh Majumdar, S/o Purna Chandra, Basirhat, 24-Parganas, West Bengal (Born May, 1907), shot dead Polios Commissioner Quinn of Chandannagore (French). Attempted on the life of Tegart, police Commissioner, Calcutta on 25.8.30 and being arrested for the latter event escaped from the Midnapore Central Jail and went under ground He was recaptured at Cornawallis Street, Galcutta, after a fight with the Police Party. He was executed on June 9, 1934 in Alipore Central Jail (New Central Jail). 107. Baikuntha Sukul (Sukla). S/o Ram Behari Sukul, Mazaffarpur, Bihar, was executed o, May 14, L934 in Gaya Jail (Bihar) for killing Phani Ghosh who betrayed the revolutionary party and turned approver in the Second Lahore Conspiracy case. 108. Manindranath Banerjee, S/o Dr. Taracharan Banerjee: Beneras (Born in 1911) died in Fatehgarh Jail CU.P.) on June 20, 1934 after 66 days’ Hunger Strike in protest against brutal treatment inside Jail. He was arrested for shooting Jiten Baneljee, S.P., who was in charge of investigation of Kakori Conspiracy case though the victim was his own maternal uncle. 109. Ashit Bhattacharjee. S/o Khirod Mohan, Lashiara, Dist. Comilla (now in Bangladesh) Born April 4, 1915 executed on July 2, 1934 in Sylhet Jail (now in Bangladesh) in connection with Itakhola mail dacoity case. 110-112. Ram Krishna Roy, S/o Kenaram Ray Roy Midnapur, West Bengal; Brojo Kishore Chakraborty and Nirmal Jiban Ghosh, S/o Jamini Jiban Ghosh, were executed in Midnapore Central Jail in connection with Burge (D· M· Midnapore) murder case. Ram Krishna Roy and Brojo Kishore Chakraborty were executed on Oct. 25, 1934 and NirmalJiban Ghosh on October 26, 1934. 113. Motilal Mallick. S/o Raj Kumar, Dacca (now in Bangladesh). Born 1912. Executed Dec. 15, 1934 in Dacca Jail in connection with Deobhog (Dacca) Shooting case. 114. Bhabani Bhattacherjee. S/o Basanta Kumar, Dacca (now in Bangladesh). Born 1914. Tried in connection with the attack on the life of Sir John Anderson, Governor of Bengal, at Lebong race course, Darjeeling and was sentenced to death. He was executed on February 3, 1935 in Rajshahi Jail (now in Bangladesh). 115. Rohini Barua. Born 1915. Executed in Faridpur Jail (now in Bangladesh) on Dec. 18, 1935 on a charge of beheading a sub-Inspector of Police named Ersad Ali of Gopalganj P.S., Faridpur. 116. Haren Munshi, Died on Jan 30, 1938 in Dacca Jail (now in Bangladesh) while resisting forced-feeding in course of a hunger strike resorted to by repatriated Andaman prisoners convicted in Titagar Conspiracy case. 117. Udham Singh. S/o Sardar Tahel Singh, Sunam, Patiala, Born Dec. 26, 1898. He shot dead Michel O. Dyer, ex-Governor of Punjab as a reprisal for the brutal atrocities led by him in Punjab in 1919. He was executed on June 12, 1940 in Pentonville Jail (London). 118. Sankar Mahali. was executed in Nagpur Central Jail on Jan. 19, 1943 in connection with Quit India movement. 119. Himu Kalani. a valiant fighter of the Quit India movement was executed in Sukkur Jail on Jan. 21, 1943. 120. Rajnarain Missir. the renowned Hero of the Quit India movement was executed in Lucknow Jail (U.P.). 121. Kusal Kanowar. Executed in Jorhat Jail, Assam on June 16, 1943 in connection with Quit India movement. 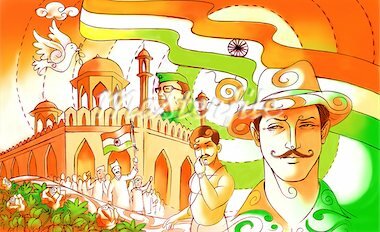 « On Independence Day: What a Secularist can and should be proud of! Sir this is great achivement to salute our true heroes. There was a great freedom fighter named chakara bishoyi from bhanjanagar dist ganjam orissa who hanged by british govt. What a sacrifice? Alas nobody will ever know unless the list is made of academic syllabus. Remember the list will be more if you consider Andaman jail prisoner who were liberated by Netaji Subhas Bose. Is it not a serious distortion of history to omit the name of Jatindranath Mukherjee (popular as Bagha Jatin), the eminent Jugantar leader ? It’s very useful.thanks for updating our freedom fighters history.update more as possible. Namaste Rupali – I think your best bet is to try and access government archives that there is public access to. Good luck. What years was your grandfather in jail for? my grandfather was one of the founders of the Anushilan Samiti; popularly known as Bagha Jatin, his real name was Jatindranath Mukherjee (1879-1915). Why is he absent from your list, whereas many of his followers are mentioned ? On 9 September are we not supposed to celebrate the centenary of his heroic death ? Great freedom fighter “Saheed Sankar Mahali” was executed at nagpur central jail on 19 june 1943. But details records not found including photograph. pl suggest how to know about Saheed Sankar Mahali. Saheed ” Sankar Mahali ” executed at Nagpur Central Jail on 19th January,1943. In connection of Quit India Movement 1942. You have forgot one freedom fighter Bharat Prasad, he was from vill-Dighwa, Dist. Gopalganj, Bihar, He was imprisoned in 1942. He also done alot for India. I am looking for a photo of the revolutionary Guran Ditt Kumar, one of the pioneers of the Gadhar movement, active in the USA since the first decade of the 20th century. Sir. My grandfather was freedom fighter.. his name late. pannalal gupta..
p.p.o. no- S C 5321 pol. there are lot of books where most respected BAGHAJATIN was mentioned . He fought against the british police with his companions at the bank of BURIGANGA river like a tiger ,justifying his title BAGHA (tiger) given by the people of Bengal,and died like a hero.